Durban - Following on from a loss like the one suffered by the Cell C Sharks at the hands of a rampant Crusaders side on Saturday afternoon, a period of deep introspection is important. Pat Lambie, as captain, admitted after the match that, "We let ourselves down and we’d like to apologise to our fans, it’s not the performance they deserve to watch." 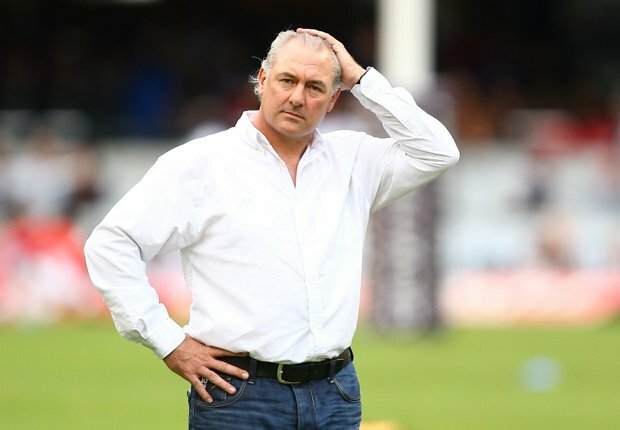 Director of rugby Gary Gold re-iterated to Sharks website editor Michael Marnewick, that those comments in the after match media conference, saying, "I follow suit and also apologise to our supporters, there is nothing else you can do after a performance like that. "It is not just the fact that we copped 50 points, it is the manner in which we did. "You wait for the spark but it does not come and we gave them a string of soft opportunities. "It was just an unacceptable performance. "That is all I can say." But ultimately, as head coach, he said the buck has to stop somewhere and he was not going to point fingers or shift the blame. "I am going to take responsibility," he said. "I put my hand up." He admitted that while things may not have been going their way, they are determined to sort it out. "We will fix it. I believe in these players, it is a great group of guys. "We are just not playing well at the moment and nobody can deny that, but we are still in the hunt. "It is not the end of the world, we are not in the bottom half of the table. "We are just going to have to show some character. "We are going to have to step up to the plate. "It is as simple as that." He said of the red card that there is no coaching of - or condoning - foul play. "Jean Deysel is a fantastic guy," he said. "He is not a filthy player, he is a hard player. "He made a silly mistake, he apologised to the team. "He was particularly ‘up” for the game. "I just feel we need to control that red mist. "We have to be better disciplined, we have to understand that you just can’t do those things on the rugby field." This week will be an important one as they need to refocus again for the Lions game. "I will have my tough words with the players but there has to be an understanding that as leader of this group I cannot hang my players out to dry. I am still going to go out and back them. "We have serious questions to answer and have to do some straight talking. "The competition is at the half way stage, we can still put our hand up. Our focus has to be on going forward and this has to be seen as a wake-up call, it cannot happen again." 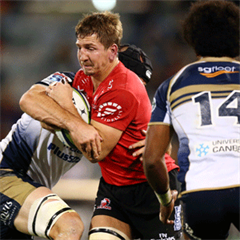 Gold believes that his side will have to change their approach if they are to bounce back from their humiliation at the hands of the Crusaders and, ironically, follow their conquerors' example. "A good starting point is to get our urgency up with immediate affect. "But we also need perspective. 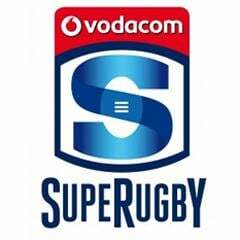 "This Crusaders team received a similar score at the hands of the Chiefs earlier in the season and pulled themselves together. "We have to tap into the character and experience of our senior players and we have to send a message out to our fans that we can get back on our feet.